Greetings one and all! I hope you are doing well and loving life. Once again, I invite you to take a deep breath, pour a cup of coffee or hot tea, and relax. As you know, February is designated as American Heart Month. Consequently, I want to take this opportunity to reflect on the importance of heart health. Since heart disease is the leading cause of death for both men and women in the United States, it’s important to review the recommendations to reduce the risk of heart disease. Prevention is predicated on knowledge of the disease process and enhanced awareness of the implications of heart disease for the individual, family members, and our society. 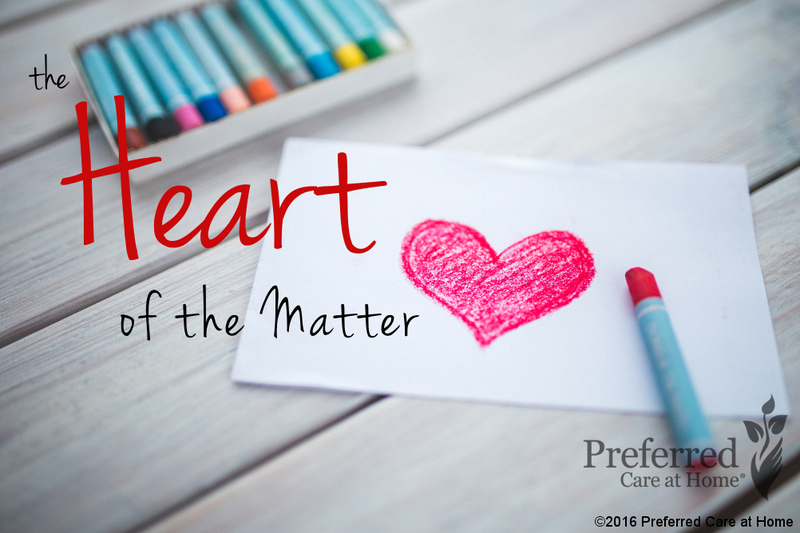 The heart of the matter is self care—a familiar tune for personal and professional caregivers! In order to reduce the risk of heart disease and thus be heart healthy, heart specialists encourage a healthy lifestyle—mainly focused on behaviors that affect our physical beings. However, physical health is impacted by emotional, spiritual, and social health as well. Consequently, heart-healthy self care encompasses all aspects of our humanity—physical, emotional, spiritual, and psychosocial well-being. Consider the following suggestions for heart-healthy self care and then generate additional ideas that will reduce your risk of heart disease. Keep a sense of humor—LOL often! Recognize that change is the norm—you can’t control everything! As with all plans of self care, take one step at a time. If you currently engage in heart-healthy self care practices—keep up the good work! However, as I learned last year at my annual physical, there is always room for improvement. So, consider adding one more dimension of self care into your daily regime. As the new addition becomes routine, add another aspect of heart-healthy self care. No doubt, your commitment to self care will pay life-giving dividends, short term and long term. The heart of the matter for personal and professional caregivers becomes a life-sustaining mantra—in order to care for others, we must care for ourselves. So, recite daily and implement faithfully!